How Long Should You Keep Leftovers In the Fridge? When is it time to toss out your tira-tira? What’s lurking in the depths of your refrigerator? Remnants of yesterday’s party covered in Cling Wrap? Your fast food takeout from last week? Half a box of leftover pizza? A Tupperware of baon that you’ve forgotten about? There’s a fine line between preventing food wastage and turning your fridge into a breeding ground for microscopic bugs. Some types of food have superior life spans, while others decay at an alarming rate. We came up with a guide to help you CGs know when it’s time to toss out your tira. 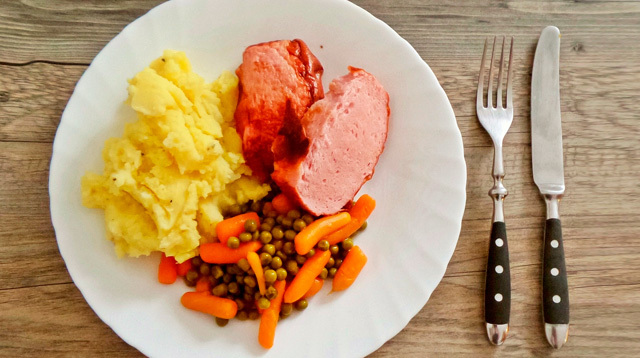 You may consume leftover cooked meats (fish, beef, pork, and chicken) within a week—tops. But it’s always best to follow your nose: If it smells bad, it is bad! It’s okay to keep leftover pizza slices for three to four days, but don’t leave it in the pizza box. Keep it in a tight container. We know some people like eating cold pizza, but if your pizza sat out for a few hours in room temperature before you placed it in the fridge, it’s best to reheat it before eating. Bread easily absorbs the mayo or other fillings, so sandwiches can last in the fridge for only up to three days. Like adobo, some soups actually taste better after a day or two, so it’s okay to keep leftover soup (as long as a serving spoon was used) for up to four days. Just make sure the soup has cooled down before you put it in a spill-proof container to store inside the fridge. If you can sift and separate the broth from the chunks, then all the better! We’re talking about clean, plain bread—not sandwiches or canapés with dips or garnishes. If placed in the refrigerator, bread can stay fresh for one to two weeks. In the freezer, it can last up to three months. Raw leftover veggies have a short life span because they dehydrate and limp quickly. If you have leftover salad from lunch, refrigerate it immediately and make sure you eat it in five days or less. If the veggies don’t look fresh anymore, just let it go. Cooked veggies have a shorter life span than the fresh variety, so make sure you eat it within three days of cooking. Cooked rice can easily get bacteria that will make you sick when ingested, so don’t keep it for longer than a week in the fridge. As for noodles and pasta, the refrigerator span is two to five days only. Pancit easily gets spoiled; it rarely lasts in the fridge for over a day. 1. Using labeling stickers or masking tape, label your containers of leftovers with the date. 2. If it looks and/or smells bad, don’t risk it. Just toss it in the bin. 3. To prevent food poisoning, reheat leftovers thoroughly before consuming. 4. Don’t overfill your fridge or block any vents. Leave enough space for the cold air to properly circulate. 5. Except for bread, the general rule for leftovers is to toss it after a week, even if it still smells or looks okay.